Mercedes-Benz has been working hard in the last years on its electric vehicles. A lot of attention was focused on its upcoming EQ C electric SUV. However, until now we had very limited information about it: only heavily covered prototypes and a concept. This model was finally caught by a photographer. It was with the minimum for camouflage, a vinyl wrap. 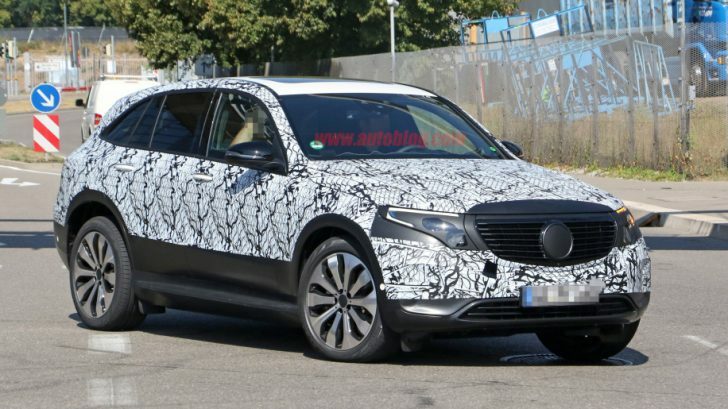 First unexpected thing is the front fascia of the vehicle: it is totally different from what we can see in the current Mercedes-Benz generation. The grille is unswept, compared to the current frowning shapes, and extends all the way to the headlights. The EQ C electric SUV has also headlights that have undergone some changes. They are of a unique shape that starts thin at the edges and sweep down to the inside. It is pretty similar to the concept that we have seen in 2016. Other parts of the vehicle will hardly surprise us. They are very similar to any other crossover from the Mercedes-Benz from the current generation. It has a classic profile and wheel placement. The lines are smooth, curvy, and organic. The taillights will be the same to ones we have seen on the concept. The back looks a lot like a Range Rover Velar’s one: quite bulbous, though, but less rounded. The windows are wouldn’t be out of place on any other Mercedes car of the same class. The EQ C electric SUV wheels are similar to the concept’s one but more simple. The interior presents the same Mercedes interior with their last feature – giant dual info and entertainment. 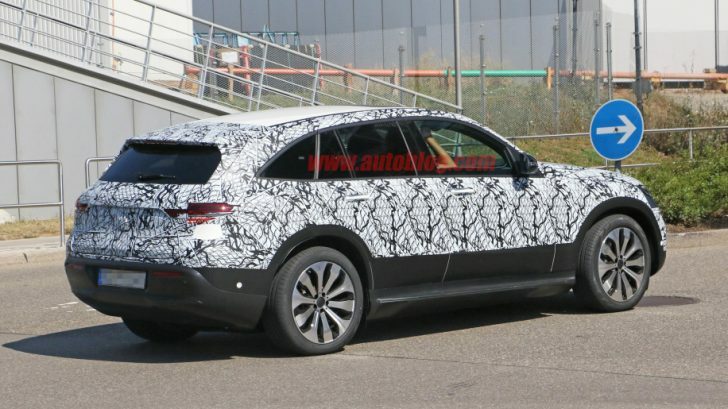 The Mercedes-Benz EQ C electric SUV will go on sale by 2020. There is no information about the powertrain yet, but we can expect them any soon. The concept had dual motors, on each end, combining to produce 402 horsepower. It will have AWD. The range is expected to be between 250 and 300 miles.